Enjoy serene pastoral canyon-to-ocean views from this beautifully renovated classic up a tree-lined private drive secluded in the Muirlands. 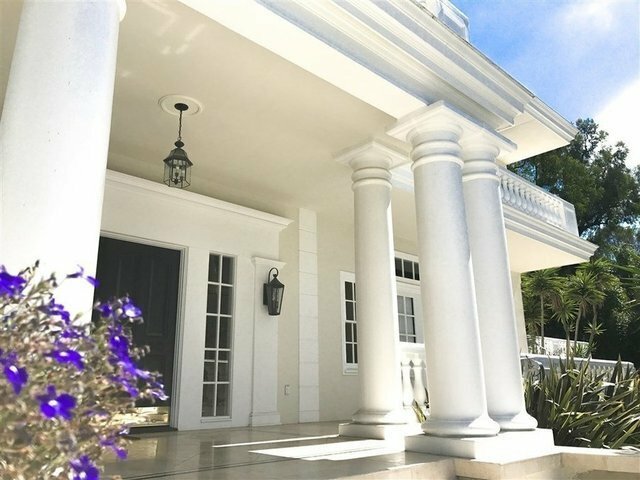 Elegant traditional architectural and design features include formal balustrades, divided light windows and French doors, intricate crown moldings and an outdoor porch. Mature plantings surround private grounds with pool, patio and spa.